Pricing recommendations hit troubled waters at two predictable times. One is when clients have unreasonable price expectations that need to be brought into line before the home can be sold. The other is when an agent gets ready to list a property that owners want to sell at an inflated, unrealistic price. Both circumstances require caution. The following presents advice to follow as you troubleshoot your way through to a successful pricing decision. 1. 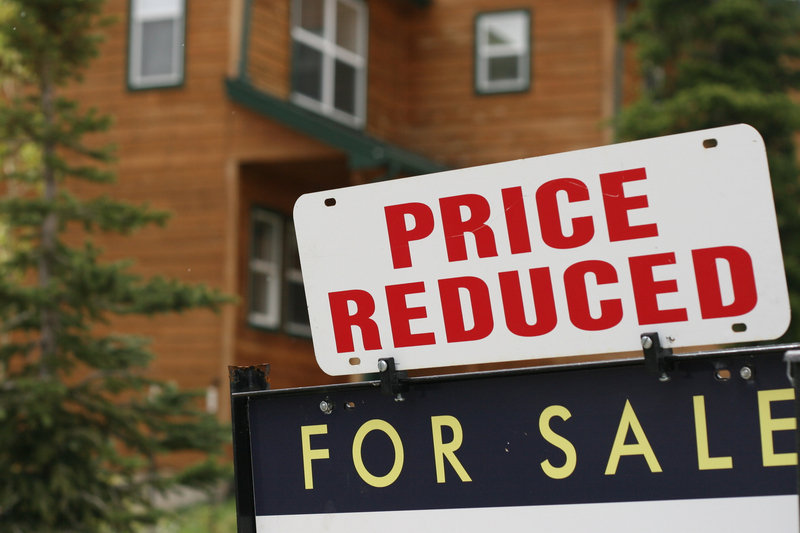 If you’re dealing with prospective new clients, address the pricing issue at the listing presentation. Don’t think the difference of opinion will just go away, and don’t think you can make an easy adjustment later. Be proactive. Present your analysis of market realities as they are, not as your client might wish them to be. If you delay the discussion, you’ll just spend the time, effort, and emotion later on when you could and should be using your energy on new business development and other income-producing activities. 2. If clients suggest they “start high and come down later,” gain their agreement to a scheduled price reduction at the listing presentation. In order to start at their desired price, sellers will often say something like, “I’ll reduce the price to your recommendation in 30 days.” When they make such a statement, usually they’re simply trying to end the discussion, hoping they can wait you out and ultimately achieve their target price. That’s why you need to take action and lock in a price reduction agreement right there and then in order to avoid the same discussion a month into the future. Though all you’re doing is formalizing your client’s suggestion, the above script will likely be met by a long moment of silence, perhaps accompanied by a confused look. The key to a successful outcome is to sit silently. Whoever speaks first will lose this battle of wills. If you break the silence, almost certainly your client won’t sign the price adjustment form. Wait patiently and in more than half the cases, you will get a signed form agreeing to the upcoming price adjustment. In the remaining cases, you will at least pave the way for the future reduction, although some sellers will develop selective amnesia on the subject. If you talk to them 30 days later and hear, “I don’t remember ever talking about having to reduce our price”, you can then remind them that you even asked them to sign a price reduction the night of the listing. That will usually jog their memory back to reality. 3. Begin compiling pricing feedback from the day the listing hits the market. When other agents show the home, follow up by asking them to share their pricing opinions. At the same time, review the prices of comparable homes that have sold while your listing’s been on the market. When interviewing another agent, really probe to obtain useful feedback. Ask, “What were the top three things the agent’s client liked about the home?” Ask for suggestions for enhancing the salability of the home. Most importantly, ask if the price seemed competitive with other homes shown. If the agent says the price felt out of line, ask what price seems more reasonable and then ask if the agent would be willing to scratch out a quick note summarizing the opinion. In future price-reduction discussions you’ll be able to back your own recommendation with recommendations from other experts. In essence, you’ll be demonstrating that the marketplace has spoken in favor of your advice. 4. Revisit the price-reduction discussion within weeks of the listing. If you wait until 30 days have passed, you will have waited too long, and here’s why. It usually takes one or two weeks to re-open the pricing subject, gain a price-reduction agreement, obtain a signature on a price-reduction form, and get the new price posted. Therefore, if you wait a month to get started, the price likely won’t be reduced until week six. Studies repeatedly prove that once a home’s been on the market six to eight weeks, showing activity drops significantly. So if you wait until 30 days to revisit the pricing conversation, your window of marketing activity will be almost closed by the time you finally post the reduction. 5. If a phone conversation doesn’t prompt an agreement to a price reduction, schedule a meeting in your office. You raise the odds for a successful outcome exponentially when you make the pricing recommendation in a face-to-face meeting on your own your turf in your professional environment. Don’t meet in the sellers’ home; have the sellers come to your office. The word “exposure” leads the sellers to think you’ll be rolling out a whole new marketing strategy for their home. For that, they will gladly clear their calendars. If you say the meeting is to talk about a price reduction, chances are good that the sellers will try to stall you, after which they may even start ducking your calls. You have to use the right script and right approach. The truth is that the meeting will in fact lead to increased exposure for the listing, because the factor that most controls exposure is price. If you can move the price into the competitive zone, agents will be more likely to show the home, and ads will more effectively reach a larger group of better buyers.